You're in: About us > What is VoIP telephony? What is in fact VoIP why is it good for you? IP telephony (Internet Protocol telephony, also called VoIP, is the telephony as we have always used it but cheaper thanks to Internet. If you have Internet connection you can have access to VoIP Telephony and save a lot of money every month, while having the same service but improved thanks to technology. VoIP is a technology that makes possible to make phone calls with your landline over the internet, instead of doing them through the traditional companies. It turns analog phone signals into digital signals to send the voice over Internet. Thanks to it there is no need to spend a lot of money in maintaining a big infrastructure of telecommunications, as traditional companies do. This way we can offer you really good prices to save money in your communications. Millions of people have already turned their fixed-line to VoIP to save money every month and gain advanced functionalities. Residential users can enjoy low-cost monthly fees and rates to save on telephony every month. And they even gain access to advanced functionalities unavailable in traditional telephony. Enterprises should not be spending a lot of money every month for their communications when technology improves and makes possible to cut costs. You can save up to 50% of your monthy fees by just changing your communication system to VoIP. What do I need to start using VoIP telephony? This adapter turns any telephone into a VoIP phone. It changes analogue signal into digital signals, and connects your traditional phone to Internet. 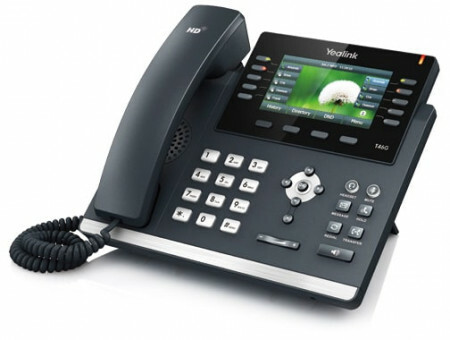 VoIP phones turn themselves voice to digital signals. They use VoIP technology and they normally have advanced functionalities in order to take advantage of the benefits of VoIP. Another advantage of using VoIP is that you can use this 3 devices to make phone calls when having internet connection and a softphone. A softphone is a program or app that emulates a phone. Furthermore, you will be able to use your fixed line from anywhere as far as you have configured it in your phone and have Internet connection.